It seems fitting that, shortly after the fifth birthday of the blog, I get to write about Jo Wymer's second release, SLG. Wymer was one of the first artists I wrote a review of. She was the first artist to put me on their guest list (I subsequently reviewed the concert, of course) and to give me free swag. I had literally started the blog only a month before and felt like a huge imposter, but I appreciated Jo's enthusiasm and had a great time at her concert. I've missed her music and am thrilled with her latest release, SLG. Like many folks over the past few years, Wymer has shifted from her brash (but melodic) '80s rock sensibility to soul. I feel like this is a good move for her -- Wymer's voice is rich and full, and I'm glad to have the opportunity to hear it in more tranquil settings. It speaks to her range, of course -- "Shoebox," an ode to her son, sits somberly next to "Addiction" -- a reaffirmation of self-determination in the midst of many distractions. 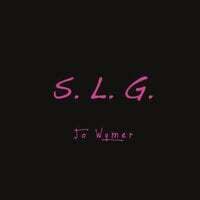 SLG also demonstrates the depth of Wymer's songwriting. While Living With Scars had a more upbeat feel, SLG puts a more reflective spin on the same things: survival and perseverance. Given the world around us today, albums like SLG can arm us with a little more courage than we had before.